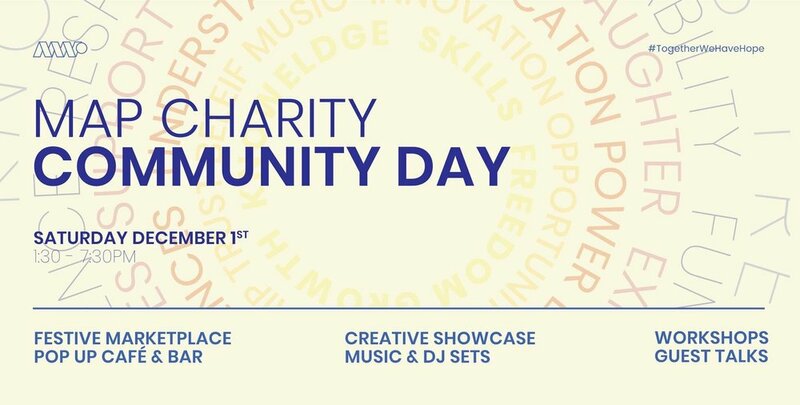 On Saturday 1st of December, Leeds Corn Exchange is hosting MAP Charity’s Community day; an afternoon of guest speakers, food, artwork and music. This event is an opportunity for the public to meet the charity’s hard working staff and volunteers and learn more about the organisation’s vision for transforming the Hope Foundry — MAP Charity’s long-term base in Mabgate. The Map Charity Community Day is just one of many community-based collaborations that Leeds Corn Exchange has taken part in during 2018. In October, the iconic building hosted a week-long contemporary art exhibition for Black History Month in partnership with Leeds Arts University. The space has also been home to several workshops and exhibitions as part of Leeds Beckett University product design and fashion courses, and will be the host for the Retail Institute Student Design competition in April next year. On Saturday December 15th, Leeds Corn Exchange will also be launching their partnership with Leeds Playhouse, hosting a free, festive family day involving performances, workshops and music.